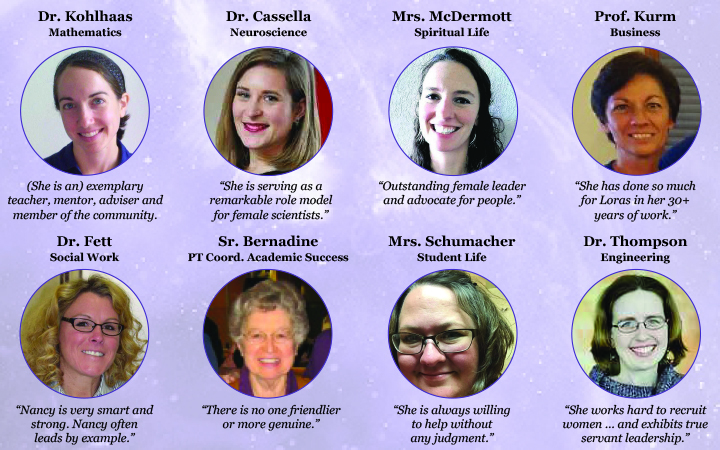 Here is the complete list of the faculty and staff nominees for International Women’s Day. “I would like Nancy Fett to be recognize because she truly cares for the welfare of the students at Loras College and loves to serve her community. She seems to go out of her way to help students and is always involved in various workshops to help educate others. Ashley Pudil is the Executive Editor for The Lorian.